Cricket and the white uniforms worn by the heroes of the game are an obsession in India. It is also believed to be the path out of poverty for young boys, like sports is in the United States, and it is the main thread of the novel. The two young Kumar brothers, one 14 and the other not quite 16, have been raised by a slightly unhinged father to be the best cricket players in the world. Their mother left them shortly after they moved to the slums of Mombai. The oldest son, Radha, is told from the get-go that he is wonderful; he is the best at cricket. The younger son, Manju, is told that he is second best. This is Mohan’s wish for both of them when it comes to cricket. He is a father with rigid and quite peculiar rules for them to follow, in order to become the greatest at cricket. He has odd health beliefs and holds weekly inspections of their bodies to see if they are remaining immature and undeveloped. The best cricket players are short, compact not yet sexual or promiscuous in any way, as far as Mohan is concerned. Radha, the elder brother, dreams of being picked to play for India on Selection Day, of being the greatest Batsman as he has been promised. Manju, on the other hand, is conflicted. He dreams of going to college and becoming a scientist. When the competition becomes so fierce that one brother is pitted against the other, the family begins to come apart. When the second son becomes the greater of the two, the older descends into uncontrollable anger after which he runs away. The youngest becomes the better cricket player, but he is unsure of who or what he is. His sexuality remains an enigma to him. Brother turns against brother and son against father for forcing them into a life that is not fulfilling their dreams. The father becomes involved with a talent scout who is influential in the cricket game. He makes it possible for them to move from the slums into decent housing in Mombai. All the people involved are interested in their bottom line, their end profit, and the boys are simply the means to that end. They are the tools of the trade. They all want to own the next great cricket player and to make money off his talent. The promise is made that Radha will be chosen on Selection Day to play for India. It is, however, several years away, and in the intervening years, the boys struggle with coming of age. The brothers, each with different dreams, begin to reject and dislike their father intensely for the pressure he has put upon them to succeed, and their fear of failing him is mind numbing. They have been taught to have but one goal, and to pursue it with maddening effort, to become the greatest cricket players of all time, to be chosen to play for India on Selection Day. Both brothers have the capacity for violence and cruelty. Hints of that kind of anger and that kind of irrational behavior having existed in other family members in the past, is revealed in stories related in the narrative. As they both come of age, the older brother matures and outgrows the typical successful image of the Cricket body. He begins to be a lesser star. The younger brother, on the other hand, much to his dismay, is able to succeed beyond his wildest dreams. He is obedient and practices. He pleases his father and his sponsors, but disappoints himself. Manju has one friend who has given up the sport. He is wealthy and he constantly whispers in his ear and advises him to leave both his father and the cricket game. He tells him to come and live with him, to study and go to college and follow his own dreams. However, this friend also has a questionable nature and sexuality, a sexuality which in India is punished by a life in prison sentence.. As Manju struggles with his own thoughts on male and female attraction, this friend, Javed, is both a positive and negative influence on his behavior. 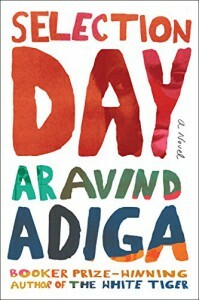 The novel is written in an authentic Indian voice. The reader has the perfect accent and intonation to impart the subtle humor and the often somber moments, with clarity. The two brothers, badgered by their father, are brought up with Cricket as the most important effort of their lives. Their father’s obsession with their success to lift him out of poverty, coupled with his often bizarre beliefs, creates a picture of a country driven by Cricket, first and foremost, rather than by the thought of education to lift the masses out of the depths of their despair. Although the humor is frequent, it is sometimes tongue in cheek. What I understood made me smile. What I didn’t understand made me want to learn more about the situation. 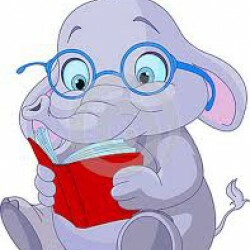 There are folk tales strewn within the story, and one of the book’s truisms told by the father, Mohan, is that Indians are like elephants, their minds are chained to their masters, they cannot think on their own, cannot think for themselves, do as they are told. The fierce competition turned brother against brother and son against father because they were not allowed to think for themselves. Like the question posed about why boiling water turns to ice before cold water does, Manju’s confusion about his sexuality seems to remain an unknown as well when the final page is turned..